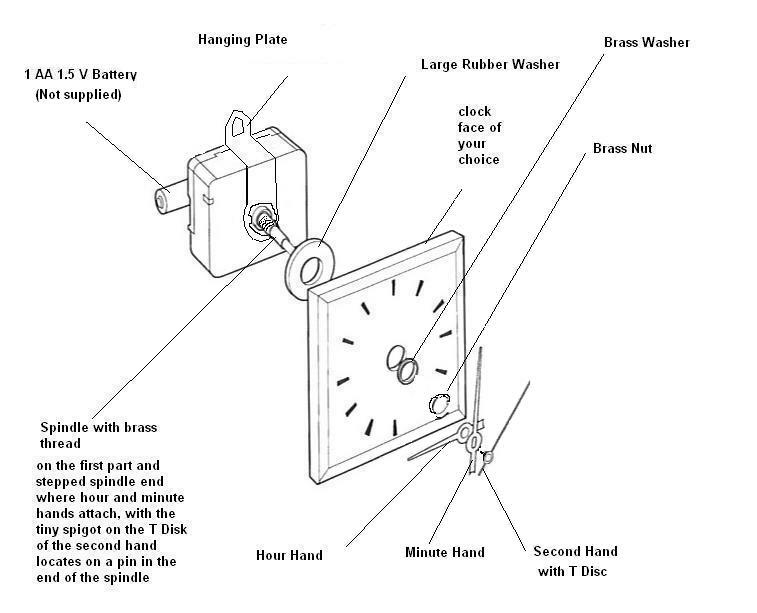 Our quartz clock movements featured here are powered by single AA 1.5v battery (not supplied) and come complete with all the necessary components to allow you to connect it to one of our special steel clock plates (see Back Plates & Base Plates section) which can fixed to metal frames by rivet, nut & bolt or welding. 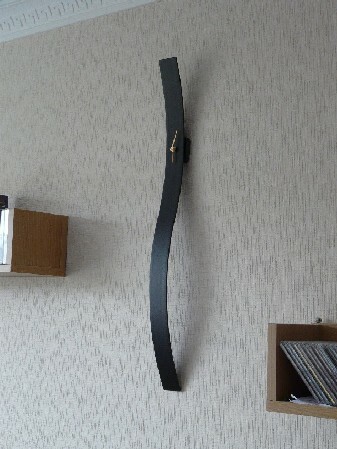 It is also supplied with a hanging plate to allow you to hang the complete clock on a wall. The movement with the shorter 14mm spindle is designed to go through clock faces upto 4mm thick, whereas the 23mm spindle is designed to go through clock faces 10mm to 12.5mm thick. 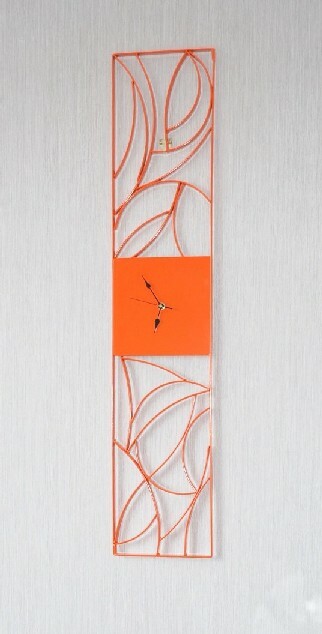 However, the long spindle version can be used for clock face thicknesses of 4mm to 10mm thick by using a packing piece or thick washer. The spindles themselves require a a 9mm diameter hole in the clock face if you are not using one of our purpose made clock face plates. 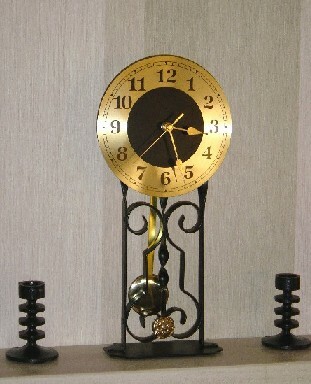 As an alternative, we can also provide a special pendulum movement for carriage clocks and wall clocks.